grandma's cookie jar: The "Buzz" About Deeper In 4 Grandparents & Parents, Too! 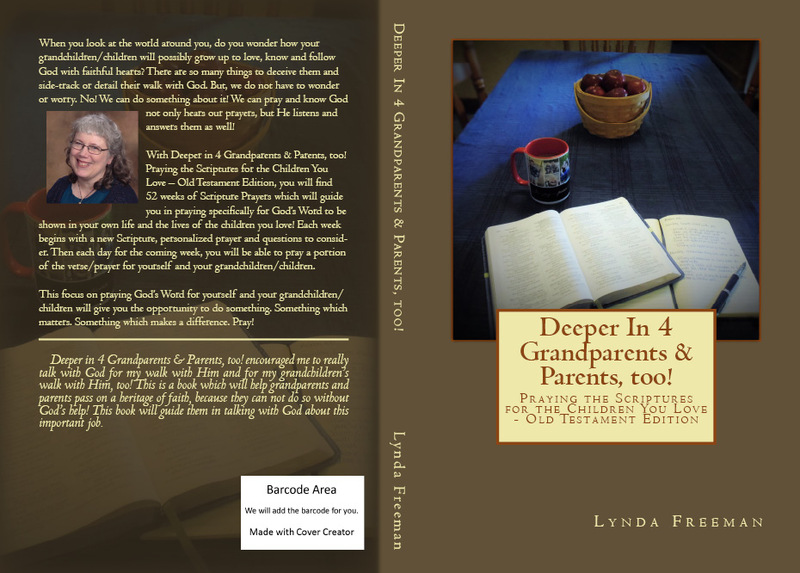 The "Buzz" About Deeper In 4 Grandparents & Parents, Too! Over the years, from time-to-time, I've shared Scripture prayers with you which you can pray for yourself and for your grandchildren. I'm about finished on a book which provides a year of Scripture prayers for you to do this with - Deeper In 4 Grandparents & Parents, Too! Praying the Scriptures for the Children You Love - Old Testament Edition. It will be available in about a week, but I thought today I'd share with you some of the fun things people are saying about this book . . .
About a dozen people have taken a look at my book and then wrote what they think . . . I'm so happy to hear they like it! And, they are not even related to me!